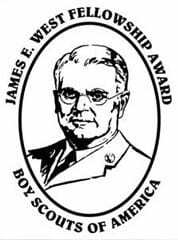 Encouraging gifts to the Patriot’s Path Council endowment fund is one of Scouting’s highest priorities. It is one of the best ways to ensure that our council will continue to offer the outstanding programs it now has and also grow to meet the needs of the youth and communities it serves. The fellowship recognizes gifts to a local council, designated by the donor to the council endowment fund. Donors may make cumulative gifts to reach Bronze ($1,000) Silver ($5,000), Gold ($10,000), and Diamond ($15,000) member levels. Annual gifts, product sales, and special events are important, but they only sustain a council’s current needs. For major growth, Scouting needs major gifts. They are critical to Scouting’s future, whether current or deferred, general or specific; for local, national, or international use; and for operating, capital, or endowment. For more information about these types of gifts and others, please contact the BSA Foundation at (972) 580-2219 or bsafoundation.org. You may also visit our gift-planning website. Second Century Society Gifts of $25,000 or more, given outright or payable over five years, or $100,000 or more, deferred, qualify the donor for membership in the Second Century Society. These gifts may benefit a local council, the BSA Foundation, a high-adventure base, or any BSA entity for operating, capital, or endowment. 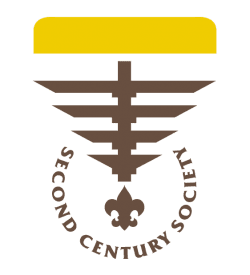 $100,000+ Member Level –Special lapel pin and certificate, a framed Norman Rockwell print, and custom Second Century Society insignia. Designation of “Members With Distinction.” Special recognition and other opportunities provided by the BSA Foundation. $500,000+ Member Level — All of the above; at this level, the Norman Rockwell print is a custom limited edition. Designated as “Legacy Members.” Special recognition and other opportunities provided by the BSA Foundation. $1,000,000+ Member Level — All of the above; donors at this level receive a premium-quality, framed Rockwell giclée. Designated as “Legacy Members.” Special recognition and other opportunities provided by the BSA Foundation. Gifts to or through the BSA Foundation, given outright or payable over five years as part of an advised fund, designated fund, trust, or other foundation fund structure, qualify the donor for membership in the exclusive Presidents Leadership Council. Gifts may be designated to benefit local councils, high-adventure facilities, or other BSA entities. $1,000,000+ Member Level — A numbered, limited-edition replica of Rockwell’s “Scoutmaster” in bronze. An original, commissioned Presidents Leadership Council marble sculpture. A framed, full-size Rockwell giclée of the donor’s choice from a catalog of work. A custom Presidents Leadership Council tie. 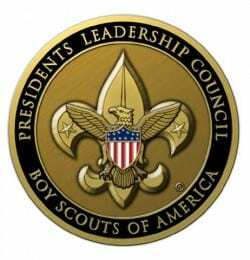 Invitations to exclusive Presidents Leadership Council events. For more information about giving to Scouting’s Forever Fund contact Patriots’ Path Council at 973.765.9322 or you may obtain more resources at the BSA Foundation.